Ferrari 488 GTB – revealed with 661bhp turbo V8 – now Ferrari 458 goes turbo !!! IF THE Ferrari 458 supercar wasn’t fast, sporty or outrageous enough for you, how about this? The 488 GTB is the 458’s successor and promises to be faster and more extreme than the car it replaces and the most responsive production Ferrari to date. 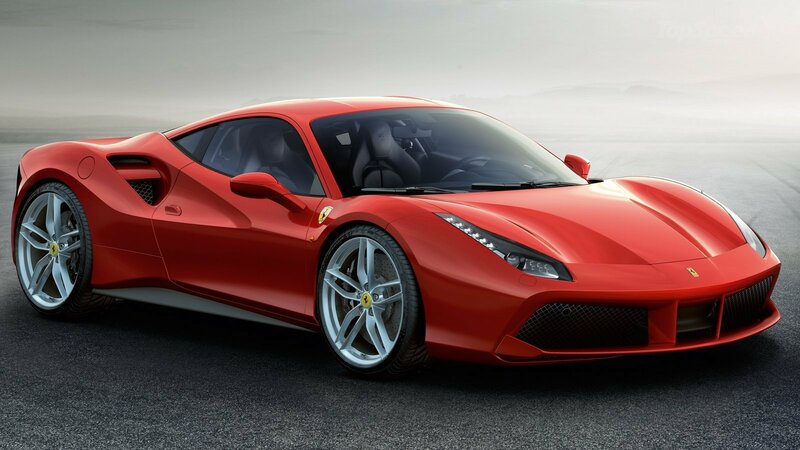 Ferrari to replace its 458 Italia and its high-revving naturally aspirated V8 engine. 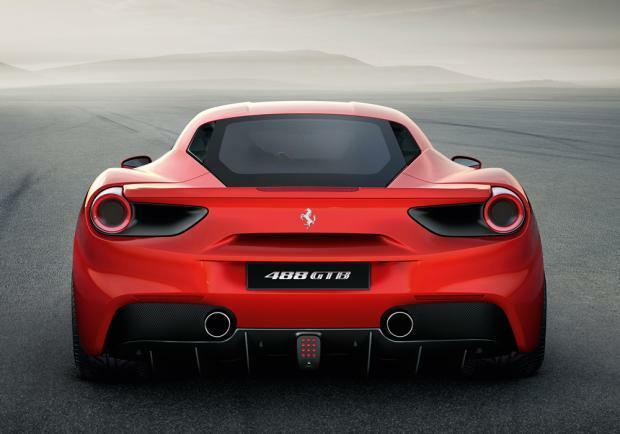 Ferrari’s 488 GTB is the first turbocharged mid-engine V8 since the legendary F40, and follows the California T down the road of turbocharging for better economy. With its 3.9-liter displacement, the 488 GTB’s engine is 600cc smaller than the 458’s V8, but produces 760 Nm of torque and 492 kW (660 hp) of power – both of which comfortably usurp the 458’s outputs. As with the California T, Ferrari has worked hard to make the engine feel naturally aspirated by mapping the torque curve so the car delivers “incredibly progressive acceleration when the driver floors the throttle,” instead of delivering all of its performance in one big-fat turbocharged lump. Because of this, maximum torque is only available in seventh gear. Power is transmitted to the rear wheels through a seven-speed paddleshift gearbox. Just as McLaren thoroughly updated its 12C to bring us the 650S, the Ferrari 488 GTB will fill the sizeable shoes of the 458 Italia. 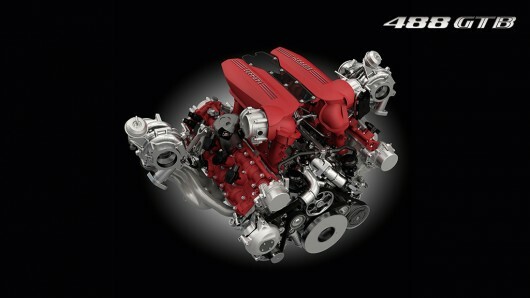 But unlike the 458, the 488 GTB gets a turbocharged engine. It also has a 99bhp power hike to 661bhp, as well as a 220Nm jump in peak torque for a total of 760Nm. So, it sprints from 0-62mph in three seconds flat – exactly the same time as the 458 Speciale. Powering the 488 GTB is a new, 3.9-litre twin-turbo V8, paired with a seven-speed dual-clutch auto box. Ferrari says the 488 will lap its Fiorano test track in just 1 minute 23 seconds – two seconds faster than the 458, and half a second quicker than the track-focused Speciale. From the front, the influence of the LaFerrari is clear. The headlamps are near identical and there are similar creases in the bonnet. The front bumper is one huge air duct, split in half at the centre. The sides are intricately sculpted, too, with a split vent behind the doors and 458-style contrasting sills. At the back, the GTB lifts its design from the Speciale, ditching the standard car’s triple exhaust pipes to make way for just two and a bigger rear diffuser. The result is 50 per cent more downforce and reduced drag. Inside, the angled air vents and instrument panel are all centred around the driver, while there’s the usual multifunction steering wheel, bucket seats and top-quality dash. Ferrari has, naturally, thrown its whole range of electronic controls at the 488, including a more advanced Side Slip Angle Control system (SSC2), which helps you drift. This set-up will also work with the car’s F1-Trac stability control and E-Diff electronic differential for flatter and more stable high-speed driving. 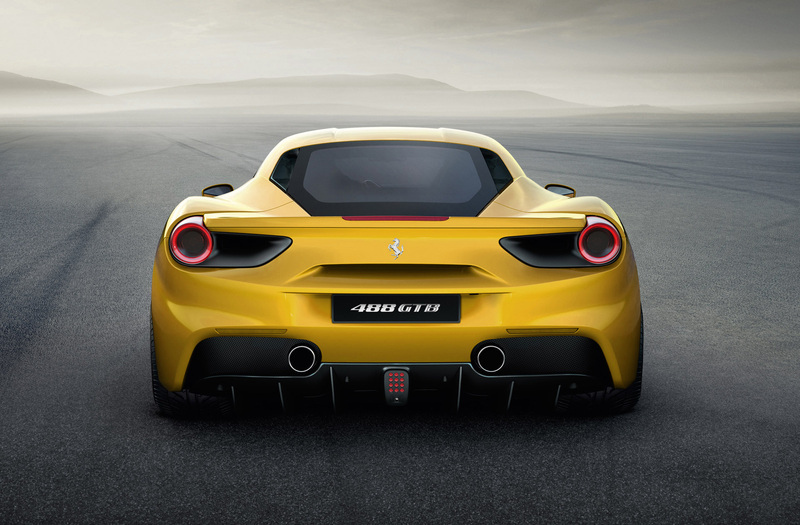 Engineers are said to have dedicated great attention to the 488 GTB’s exhaust note, too, creating a “new soundtrack that is full, clear and totally distinctive”. Fuel economy and emissions have also been improved. The new car will return almost 25mpg, while emitting 260g/km of CO2. That’s up from 24mpg and down from 275g/km in the 458. The 488 GTB will debut at the Geneva Motor Show next month, before going on sale later this year. Prices and exact specs will be revealed nearer the time, but expect a significant premium over the £178,551 outgoing 458 Italia.